Greenfield Venture Capital, a new fund chaired by Israeli cannabis entrepreneur and activist Boaz Wachtel, is raising $30 million to make seed and series A investments in cannabis-related companies. The fund, which will focus on Israeli and European startups, intends to acquire at least a 25% stake in its portfolio companies in order to gain a controlling share. The fund then intends to work towards a sale or initial public offering in Canada, Australia, Frankfurt, and the OTC markets in the U.S.
Wachtel is the co-founder of Israeli liberal political party Ale Yarok (Green Leaf), whose main objective is the legalization of cannabis. He is also the co-founder of Sidney-listed agtech companies Sustainable Agricultural Technologies Ltd. and Creso Pharma Ltd., and of Australian cannabis investment company MMJ Phyto Tech Ltd. The U.S. and Canadian markets are already saturated, but Europe has great potential, Wachtel told Calcalist in a recent interview. The fund is also looking to invest in companies that already operate in a friendly regulatory environment, he added. 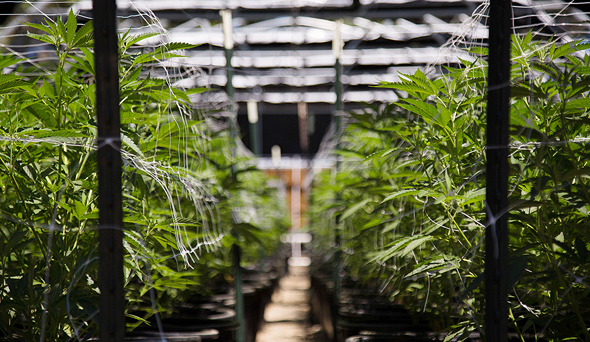 Greenfield Venture Capital is hoping institutional investors will hop on the cannabis wagon. "We can see that investors are looking for reliable partners and funds in the sector," Wachtel said. There's a scarcity of such players in the industry, he said, especially in Israel, and Greenfield Venture Capital "wants to be the platform to give institutional investors confidence."